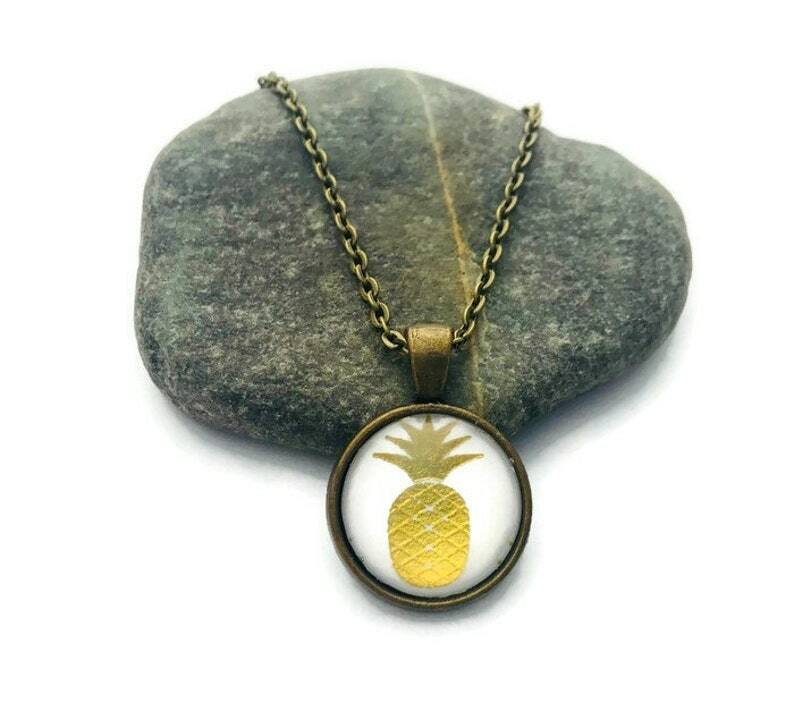 An adorable Pineapple Necklace! This necklace features the image of a gold pineapple on a bright white background. The image is protected by a layer of resin and a domed glass covering. It is set in a pretty bronzed setting with bronzed necklace with an easy to use lobster claw clasp. The necklace measures 24" in length but can be shortened if desired. The setting measures 20 mm, slightly more than an 3/4 inch in diameter. Each necklace comes in a pretty organza bag. All jewelry is lead and nickel free. Comes in six colors: White, Pink, Orange, Green, Turquoise, and Navy Blue.